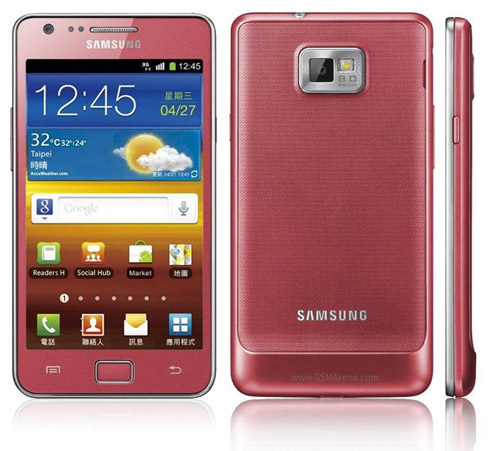 Samsung has announced that they will be launching the pink colored variant of the popular Galaxy S II smartphone in Taiwan. This shade has been in sale for a while now in Korea but this is the first time it is making an appearance in Taiwan. The phone will go on sale starting January 1, 2012 and will cost TWD 21,900 (USD 722). Other than the color, the phone is identical to other Galaxy S II phones, wherein it has the same 4.3-inch Super AMOLED Plus display, 1.2GHz dual-core processor, 1GB of RAM, 8 megapixel camera with 1080p video, 1,650mAh battery and Android 2.3 Gingerbread.